You are here: Home / News / Were not our hearts burning…? Pope Francis walked into the Hall of the General Congregation on 24 October 2016. His was a presence so serene as he took part in our morning prayer and gave us his blessing. The way forward for us, he told us, is through fidelity to our original charism which is both ecclesial and social. The charism of St Ignatius Loyola is deeply ecclesial. He came to Rome with his first companions to place themselves under the Vicar of Christ, and to receive their mission from him. To the critics of the Formula, Ignatius was happy to admit that the Formula of the Institute is in the making. The essential and substantial part of the Formula is keeping our eyes on God our Lord that free us of all frivolities. He reminded us that the world is our house. We do not have a vow of stability as the Benedictines do. Like to the two disciples to Emmaus, the stranger Jesus opened the Scriptures, so Pope Francis opened the Formula of the Institute to us whose essence and substance he told us is to keep our eyes on God our Lord. The vows of poverty and obedience are our pathway to God. He illustrated that poverty is both mother and bulwark for a Jesuit. It is particularly so in the context of a consumerist culture. Our obedience is for availability to mission. So the Society is on the way. It is going forward. Walking together, free and obedient. The mission of the Society, the Formula indicates, is the defence and propagation of faith as well as helping our neighbours. It most certainly takes us to places, times and persons, the concrete expressions of our mission. There is tension in our Institute as well. In its essence it is “not only, but also”. Jesuits cannot be fully content with exclusions and eliminations. The harmonization of our tensions is seen in our way of proceeding: contemplation and action; faith in justice; charism and institution; and community and mission. Our focus is on the more universal good, starting with the basic:the works of mercy as caring for those in hospitals, begging for alms, teaching catechism to children, patient suffering of insults and above all Magis which Ignatius sought most in all. Every General Congregation has been a time for the renewal and deepening of our spirit. 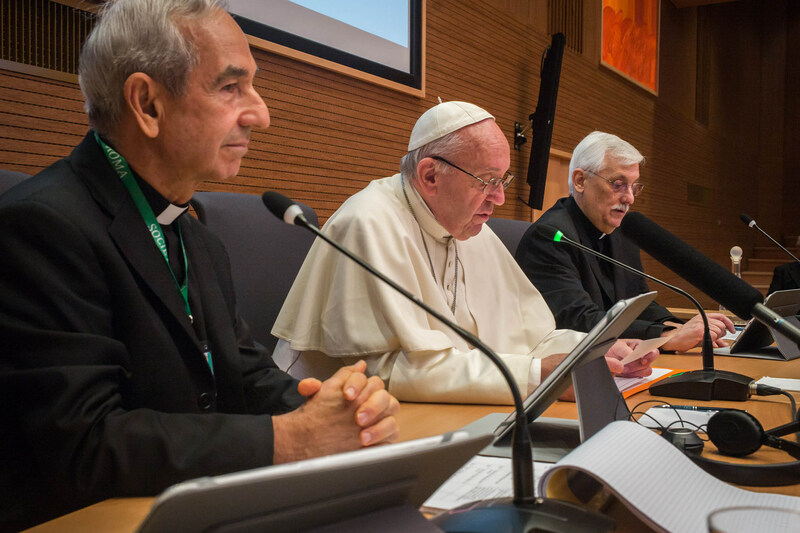 The Church under the leadership of Pope Francis is deeply engaged in the world. His vision is to create a welcoming society urging nation states to open up their borders and be inclusive. His visits to the island of Lampedusa to experience firsthand the plight of the refugees, and later the return from Greece with a few refugee families to the Vatican City have touched many hearts. His words and life and our sharing of the impact of his words truly made me exclaim: were not our hearts burning within us!